Industry groups in the USA have been responding to the US government with their wish lists for a post-Brexit UK-US trade deal. These include the US meat industry wanting the UK to accept beef and pork that have been fed growth promoting hormones which are banned by the EU. 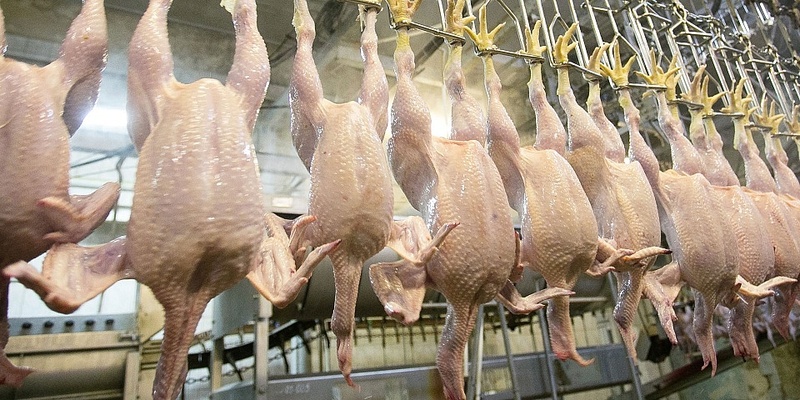 The US meat industry is calling on the government to also stipulate that the UK should import beef cuts and pork that have been washed in lactic acid and chicken that has been washed in chlorine. Currently only whole beef carcasses washed in lactic acid are accepted into the EU. Farming groups and medicine manufacturers want to see rules over genetically modified crops changed and those for meat, fish and dairy treated with antibiotics dropped. They also want to see crops produced using pesticides and herbicides banned in the EU being allowed into the UK and for maximum residue limits for pesticides and herbicides to be amended. Consumer research carried out by Which? shows that people do not want these foods and 90% of people think it is important that UK food standards are maintained after Brexit. Other requests from US industry include limiting geographical labelling rules to enable US manufacturers to use EU protected terms on their products such as Prosecco, Blue Stilton and Parmigiano Reggiano. Sue Davies, strategic policy partner, Which? says: ‘Which? consumer research has shown that consumers expect high standards to be maintained after Brexit and that people would be uncomfortable with some of the practices that are permitted in the US, but not the UK at the moment. ‘The US food safety and standards system is weaker than the UK system and provides a lower level of consumer protection. We want to ensure that the government puts you first in its Brexit plans, protecting your consumer rights and giving you the greatest access to good quality and affordable products. We can help the government achieve this, but we’ll need your support to make it happen. Support our Consumer Charter. Which? cuts through the noise to find the facts. Our practical and impartial consumer advice, rigorously researched and regularly delivered by email, can help you prepare for the UK leaving the EU.